Your Connection Realty: House Hunters! We have a deal. What's next? Step1: How much can I afford? Your first step is to contact a mortgage broker or lender to determine how much you can afford to spend on a home. Your lender will ask for your income, expenses, and how much you would like your down payment to be. Your lender will also advise you about which type of loan is right for you. You can also go to a mortgage calculator see how much your principal & interest payment will be based on various loan amounts and interest rates. Most buyers obtain mortgages from a mortgage company, mortgage broker, credit union, or local bank / savings & loan association. The qualifying guidelines and required down payment vary with different types of loans so you will need to talk with a qualified lender to obtain the most current information at the time of purchase. These are the most common types of loans. They are offered by banks and lenders and the property is held as security for the loan. The FHA will insure the loan in case the buyer cannot make payments. It requires the buyer to pay mortgage insurance through the FHA. The FHA offers loans with as little as a 3 percent down payment. The VA will guarantee mortgages offered by private lenders to members of the armed forces, active military personnel, veterans, or their widows/widowers. The interest rate stays the same for as long as you hold your mortgage, no matter how interest rates change in the marketplace. Most fixed-rate mortgages are for 15 or 30 years. With this type of mortgage, you will know exactly what your principal and interest payment will be for the term of the loan (note that taxes and homeowners insurance rates may change from year to year). The interest rate on an ARM is usually tied to an index, such as the prime rate. The rate can go up or down at specified intervals. For example, a 3/1 ARM is fixed for the first 3 years, then adjusts every year based on an index. Make sure you find out how often the rate can be adjusted and if there is a cap (limit) on the adjustments. These mortgages are offered for a shorter time period such as 5 or 7 years, but the payments made are based on what you would pay for a 15 or 30-year loan. They have a final, large payment at the end of the term so you will either need to sell your home before the payment is due or refinance the loan. Some balloon mortgages allow you to extend the mortgage based on rates at the end of the loan term. A mortgage is “interest only” if the scheduled monthly mortgage payment consists of interest only. The option to pay interest only lasts for a specified period, usually 5 to 10 years. Borrowers have the right to pay more than interest if they want to. Your payments will be much lower than other types of mortgages, but your debt will never be paid off. Many interest-only mortgages require you to start paying both principal and interest after a certain amount of time. This means that your payments will now be much higher than if you had been paying both principal and interest all along. This type of loan is extremely risky and should be used only in special circumstances. Be sure to include estimates of homeowner’s insurance, property taxes, and other monthly costs in the calculation of your monthly payments. Usually costs about $3 for every $1,000 of the cost of the home ($600/year for a $200,000 home). Generally ranges from 1.2 percent to 1.5 percent of the cost of the home ($2400 to $3000 for a $200,000 home). If you live in a flood-prone area, your lender will usually require you to carry a flood insurance policy. Generally required if you are putting down less than a 20% down payment, unless you are taking out a 2nd mortgage to cover your down payment (called a piggyback or 80/20 loan). The amount of insurance required depends on your credit score, amount you put down, and the price of the house. If you are buying a townhome or condo, be sure to include the monthly dues when calculating your payment amounts. These usually range from $100-$200/month. Many single-family detached home neighborhoods also have association dues to cover maintenance of common areas, pool clubs, etc. These generally range anywhere from $10/month to $100/month, depending on the services provided. Should I Sell My Home First? If you have a home you need to sell, you will need to think about timing. If you decide to sell your home before buying a new one, you many need to find somewhere to live while you are between homes. If you decide to buy first, you risk having two mortgages if your current home doesn’t sell quickly. Talk to your lender about your options before making a final decision. Bridge Loans: Some banks might make a bridge loan to a well-qualified buyer whose present home is not sold before the purchase his/her new home. This is usually a short-term loan to “bridge” the time gap between closings. Step 2: What Type of Home Do I Want? Would you like a single-family detached home, townhome, or condominium? As the owner of a single-family home, you are responsible for all yard work, maintenance costs etc. As the owner of a townhome or condominium, the homeowners’ association will cover many of the maintenance expenses (such as landscaping, roof, siding, etc. ), but you will need to pay a monthly fee. Some single-family detached homes also have a homeowners’ association with a monthly fee. This will usually cover the costs of maintaining all community common areas, sidewalks, lighting, etc. Sometimes it will also cover membership to a swim and/or tennis club. Keep all of these monthly fees in mind when you are comparing homes. You should also think about how long you plan to be in a home. Will the home still meet your needs in a few years? If you think you may need a larger home in a few years, decide if you would prefer to buy a smaller home now to save up money for a larger home or if you would rather buy a larger home now and avoid the expense of moving again. • Location / Neighborhood / School District? • Style (1-story, split-level, contemporary, bungalow, etc.)? • Number of Bedrooms / Bathrooms? • Formal Living / Dining rooms? During your home purchase, our job is to help you save the largest amount of money possible and experience the least amount of stress possible as we guide you through the entire home-buying process. 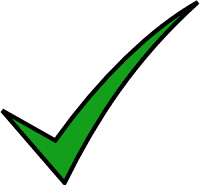 Set up custom searches for you and automatically notify you when homes matching your criteria become available. I can show you ALL homes that are for sale, even those listed with other companies, for sale by owner (FSBO), and new homes being sold by builders. Recommend a lender to help you get pre-qualified so you know exactly how much you can afford. Explain to you the pros/cons of each home, help you determine what price to offer on a home, & present and negotiate the offer. Provide you with a “Buyer’s Contract-to-Closing Checklist” so you know exactly what to do once you are under contract on a home. Order all inspections for you and negotiate repairs on your behalf. Schedule the closing with an attorney and arrange for the attorney to do a title search. Review the settlement statement with you so you understand all of the closing costs and know how much money to bring to closing. Accompany you to the closing and arrange for you to get the keys to your new home. Be available for any questions you have during your home search, the closing process, and even after your closing. Before making appointments to see homes, you may want to drive around the neighborhoods that are in your price range to get an idea of the area, distance to work/school, etc. Once you’ve narrowed down the list of homes you would like to see, contact me and set up appointments. You may want to take notes about each home or rank it on a scale of 1 to 10. Once you have found a home you would like to purchase, I will assist you in filling out an Offer to Purchase. Usually the seller will request that a pre-qualification letter from your lender be included with the offer or be provided soon thereafter. You will need to make a check payable to the listing company for the earnest money. Usually this is 1-2% of the purchase price and will be credited back to you at closing. A personal check is fine. This check WILL BE CASHED and placed in the listing company's escrow account as soon as the contract is signed. You will also need a check for the Due Diligence/Option Fee. This check will be written out to the owner and applied toward your purchase if you decide to purchase the home during the Due Diligence Period. If you decide NOT to purchase the seller keeps this money. There is not a standard amount. Plan on between $500-2500 depending on the price of the home, days on market and if there are multiple offers. We will discuss a strategy. How Do We Know What to Offer? I will research recent sales in the neighborhood to help you determine what price to offer based on the sold prices of similar homes. The Due Diligence Fee is also referred to as the "look-see fee" that allows the buyers a set amount of time to make a decision about whether to move forward with the purchase of the home. All inspections, repair requests, and loan conditions should be completed before the Due Diligence Date. If the Buyer decides NOT to purchase during the Due Diligence Period the Seller keeps the Due Diligence Fee. The Due Diligence Fee is applied toward the purchase at closing if the Buyer decides to move forward with the purchase of the home. Earnest money is an additional deposit given by the buyer as good faith money. This deposit is refundable, but only before the Due Diligence Date. It gives the seller some peace of mind because the buyer will have something to lose if they break the contract after the Due Diligence Date. Both the due diligence fee and the earnest money deposit get credited back to the buyer at closing. Any items of personal property that you would like to be included with the property should be itemized in the contract. Items generally included in the purchase of a home: stove, dishwasher, built-in microwave, blinds, bathroom mirrors, curtain hardware, and garage door openers. Items generally NOT included: refrigerator, washer, dryer, or curtains. Many buyers like to close toward the end of the month because less interest on your new loan is due at closing. For example, if you close on September 30th, you will owe interest for only 1 day. Your first mortgage payment will be due on November 1. But if the closing is just 2 days later (October 2), you will owe 30 days’ worth of interest, but your first mortgage payment won’t be due until be December 1. The seller may accept the offer in its original form by signing it, thereby converting the offer to purchase to a sales contract. The seller may instead decide to change the original offer, thereby creating a counter-offer. The sales contract is binding only when all terms are agreed upon by both parties and in writing. There is no “first come, first served” in the case of multiple offers. A seller has the right to accept, reject or counter any offer. There are no time limits on this process unless specifically stated. Any offer can be withdrawn by the offer or before it is signed by the other party. Step 5: We Have a Deal - Now What? After the buyer and seller have come to an agreement on the contract terms, it is time to apply for the loan, schedule the closing and inspections, and start packing! The buyer can expedite the loan process by having all pertinent information with him/her at the time of application: Assets and liabilities, salary history, bank and credit card account numbers, rental history and other credit references, tax returns, etc. The closing is both technical and complex and is usually handled by an attorney chosen by the buyer. I can recommend attorneys and set up the closing for you. Check with different insurance companies to compare rates and plans and let me know whom you have selected. The whole house inspection is usually done by a licensed inspector of the buyer’s choice. The wood-destroying insect (termite) inspection must be done within 30 days of closing by a licensed inspector. ** The cost of all inspections including whole house inspection, wood-destroying insect inspection, and any other inspections (such as well, septic, radon, structural, etc.) 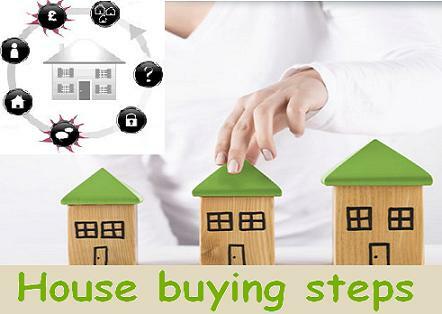 is the responsibility of the buyer unless otherwise stated in the contract. Once inspections have been completed, the buyer will fill out a repair request that gets submitted to the seller. The seller has the option of agreeing to complete all or some of the repairs, offering money to the buyer in lieu of repairs, or refusing to complete the repairs. If it is before the due diligence date, the buyer has the option of either accepting the property in its present condition or terminating the contract and getting a return of the earnest money. If required by the lender or desired by the buyer, a survey of the property is obtained by a registered land surveyor. The survey and report will reveal any encroachments, will show the property boundaries, and will show the precise location of the home and other improvements on the property. The attorney usually orders the survey a few weeks before closing. You may want to consider purchasing a home warranty. A home warranty is a service contract typically lasting one year that covers the repair or replacement of major home systems and appliances that break down due to normal wear and tear. A home warranty does NOT overlap or replace the homeowner’s insurance policy. Generally, home warranties cover malfunctions of major appliances such as washers, dryers, ovens, and refrigerators. They also cover duct work, plumbing, the electrical system, heating, and air-conditioning. Check each company to compare coverage & terms. Warranties usually cost between $400-$600 per year and $75-$95 per service call depending on which plan you purchase. A few days before closing, contact all utility companies and have the utilities transferred into your name as of the closing date. The closing is generally held at the buyer’s attorney’s office. Closing is when the buyer signs all financial documents and receives assurance that all terms of the contract have been met. The attorney informs the buyer of all rights and obligations being incurred and reviews the settlement statement with the buyer. Closing constitutes acceptance of the property, and the buyer usually takes possession of the property the same day unless other arrangements have been made. All utilities must be transferred to the buyer’s name as of the closing or occupancy date. The closing attorney also performs a title examination, which involves an extensive review of the public records for those matters which affect the property such as mortgages, judgments, liens, lis pendens, unpaid taxes, assessments and easements. The examination does not include matters not appearing on the public records, such as the physical condition of improvements, unfiled contractors’ claims, zoning ordinances, or unrecorded leases. Title to real property in North Carolina is transferred by a deed. In order to complete the transfer, the deed must be recorded in the Register of Deeds in the county in which the property is situated. Approximately 30 days after closing, the buyer should receive the original deed from the Register of Deeds’ office and the title insurance policy from the insurance company. The seller often will execute (sign) the deed prior to closing and may choose to not attend the closing. Most lenders charge 1% of the new loan amount as a fee for processing the loan. This processing fee may instead be a fixed dollar amount. A report of the buyer’s credit history is ordered by the lender. The buyer may elect to pay 1 or more points to lower their interest rate. Each point equals 1% of the loan amount. This is usually required for mortgages where the buyer’s down payment is less than 20%. MIP protects the lender in the case of a buyer’s default. The cost will depend on the buyer’s credit score, amount of the down payment, and the price of the house. The policy usually costs $2 per $1,000 of sales price and is a one-time fee. Most lenders require title insurance for their protection and the buyer may purchase his own policy. This insurance provides protection from risks not disclosed by public records and from errors or omissions made by the attorney or surveyor. These are the fees for recording the deed, deed of trust, and other documents with the Register of Deeds. The lender will require that a deposit of 2-6 months of taxes and hazard insurance be put into a separate account. This money will be used to pay the following year’s taxes and hazard insurance. Interest is collected on the loan from the date of closing through the end of the month in which the loan is closed. Usually costs about $3 per year for every $1,000 of the home’s value ($600/year for a $200,000 home). The buyer will be required to pay 1 full year of hazard insurance at closing. If the closing is before September 1, the seller’s estimated share of real estate taxes are paid by the seller to the buyer. Consequently, the buyer will be responsible for paying the entire tax bill when it becomes due on September 1. If the closing is after September 1, the current year’s taxes will be paid at closing, and each party will be charged his proportionate share. If the seller has already paid the taxes for that year, the buyer will pay his proportionate share of the taxes to the seller. *Tax bills are mailed during August of each year and are sent to the person in whose name the property was listed in January. Therefore, the buyer may not receive the tax bill, and the seller should forward it to the buyer. A copy may be obtained from the tax office or online. *Taxes may be paid up to December 31. In most cases, the lender will pay the taxes and homeowner’s insurance each year out of funds in the escrow account. The monthly mortgage statement should reflect when these payments have been made. The buyer will Wire Funds if more than $5000.00 or bring a certified or bank check made payable to the closing attorney’s firm. The amount of the check equals the down payment, plus all closing costs, less the earnest money on deposit. The attorney should know this amount the day before closing. Driver’s license or other form of legal photo ID. Apply for loan (within 5 days). $$ Payment will be made as part of closing costs. Decide if you would like a home warranty policy and notify agent and attorney. 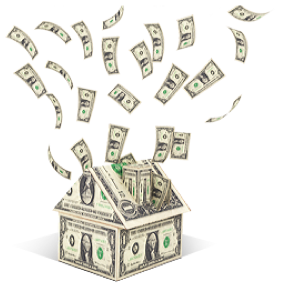 $$ Payment can be made as part of closing costs. Contact utility companies (phone, cable, gas, electric, water, etc.) to schedule service at new home and shut off service at old home. Change your address with the post office, driver’s license, credit cards, banks, etc. After home inspection, select items to be repaired and submit to seller. Negotiations on repairs need to be completed and signed by all parties before the Due Diligence Date. Attorney should email the settlement statement the day before closing. Review the statement before closing. Get a certified check/Wire funds made payable to attorney the day before or day of closing (the attorney will determine the amount). Funds have to be wired if over $5,000.00. Do a walk-through inspection the day before (or morning of) closing. You may get the keys at the closing or after the attorney records the deed later that day. Move in to your new home and celebrate!! * Your agent can set up these appointments once you have chosen who you would like to use. The agent needs to be there for all on-site inspections to let the inspector into the house unless the inspector is has Centralized Showing privileges. Location, Location, Location .... What Does That Mean? What Goes With the Home When You Sell or Buy? Inspection is Done, Now What?